At Hack Engineering we are used to customers being particular and enthusiastic about their M car’s maintenance. 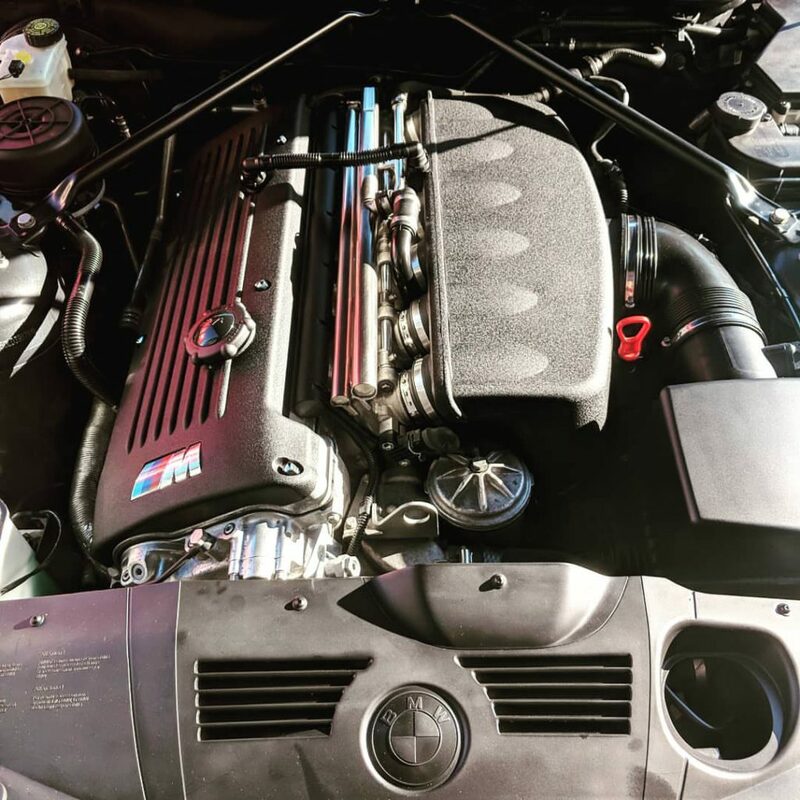 However, Robert recently took things to a new level when he wanted to have an engine overhaul on his 36,000 mile Z4 M Roadster. Of course, we were more than happy to help him. Robert had the car transported to us from his home in Lancashire for the work. Upon arrival, we could tell that this was one very well looked after machine – despite being 11 years old, it really did look like new. 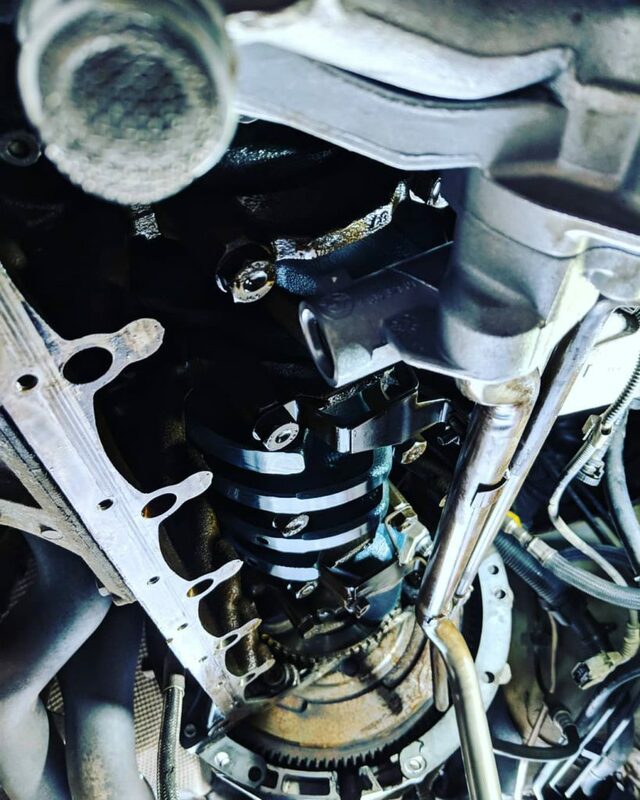 However, the reason for Robert’s concerns over the engine were due to a top end rattle that could be heard once the engine was warm; we advised that the Vanos should be rebuilt, but Robert was keen to go all the way – and we’re glad he did, as you will read below. 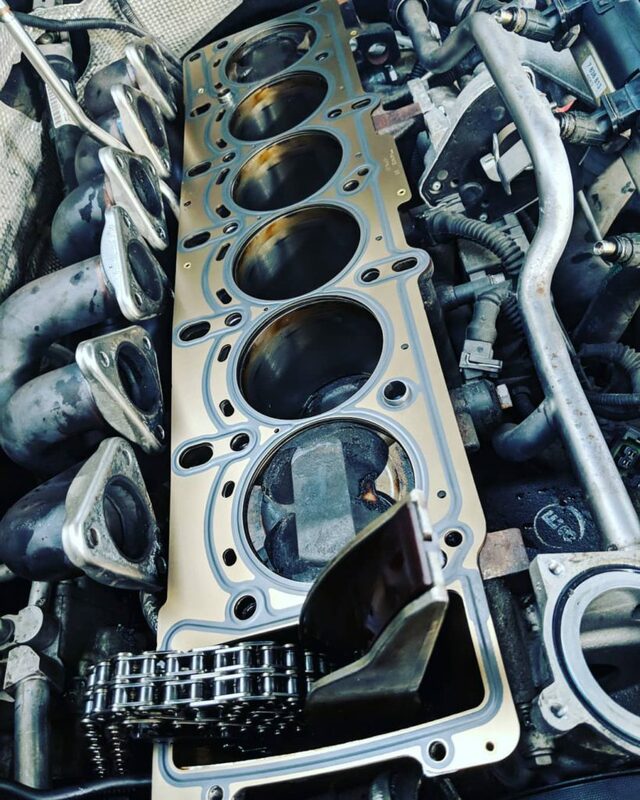 The first stop was to get the cylinder head stripped down and removed – the gasket was in perfect condition but of course we did our usual of having the head disassembled and fitted with new valve stem seals, with the valves vacuum-tested and the head pressure tested for good measure. The head was then re-fitted and built back up with a few upgrades for both future-proofing and performance. 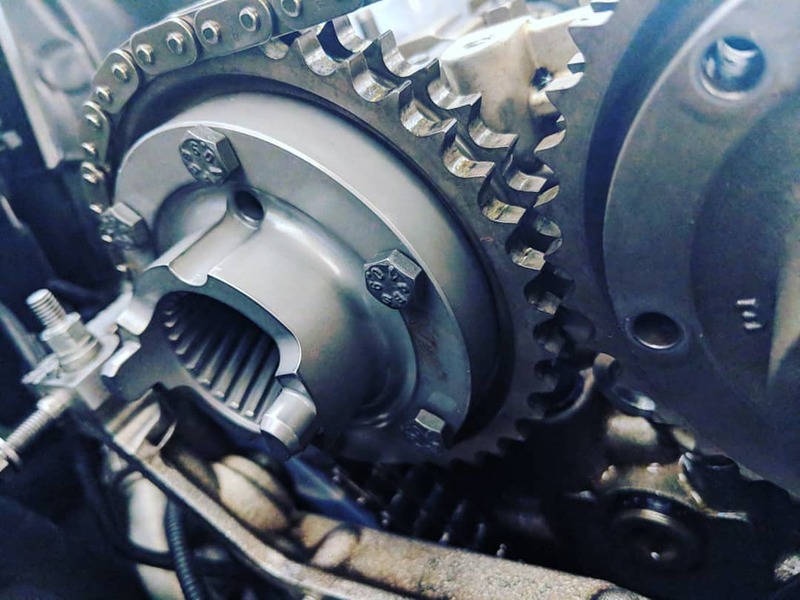 This included a Beisan Systems Upper Chain Guide, VAC Motorsports Exhaust Cam Hub, and a full Vanos rebuild with Beisan parts, plus a re-drilled oil pump disc. Having found that the sprocket sleeve bolts were loose (seemingly the cause of the noise), these were replaced and Loctited as per our usual processes. The Vanos body was also professionally polished while it was off. With these parts and upgrades carried out, the head could go back together, with the valve clearances checked and corrected. It was then the turn of the bottom end – having read about our use of King Bearings and ARP hardware, Robert wisely chose to go down this path with the Z4. Due to the mileage we had advised that the car wouldn’t need the work, and for once, we were proved very much wrong. 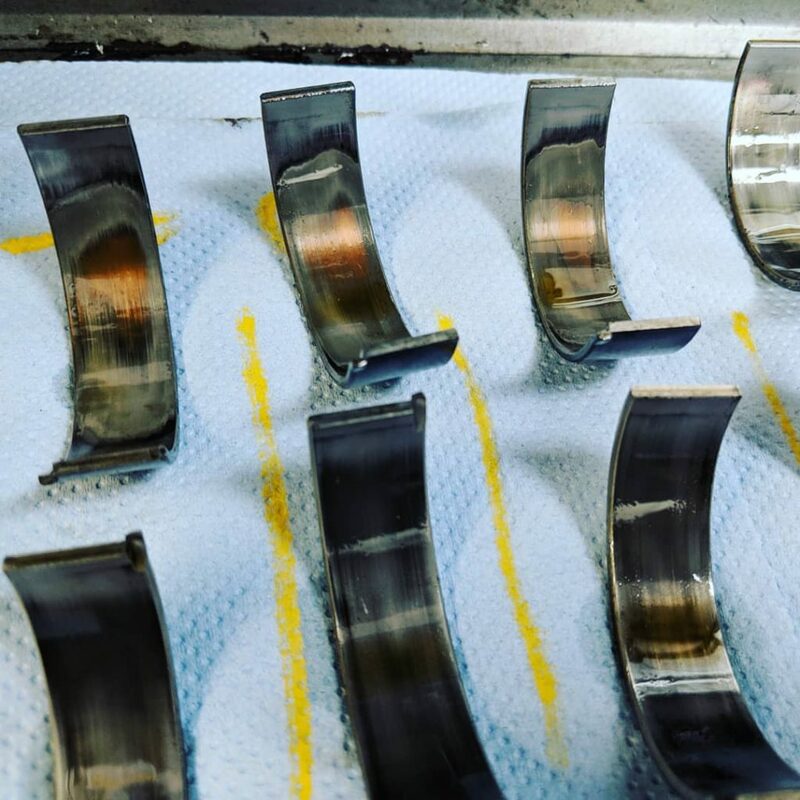 The bearings were in a real state – this upgrade had proved to not be a moment too soon. The bottom end was reassembled with the aforementioned components, as well as a brand new BMW oil pump as per Robert’s request. 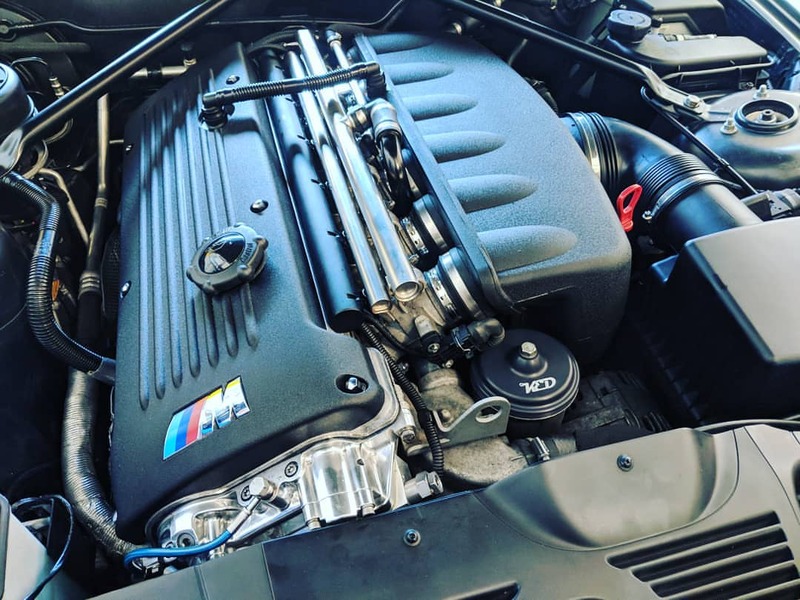 Once back together and refilled with Castrol Edge 10w60 (plus a new Genuine BMW oil filter set and Koflach Engine Developments Billet Oil Filter Lid), the Z4 was ready to live again, and was collected by one very happy customer. Always a pleasure to work with customers and cars like this. To book your M car in, simply contact us.